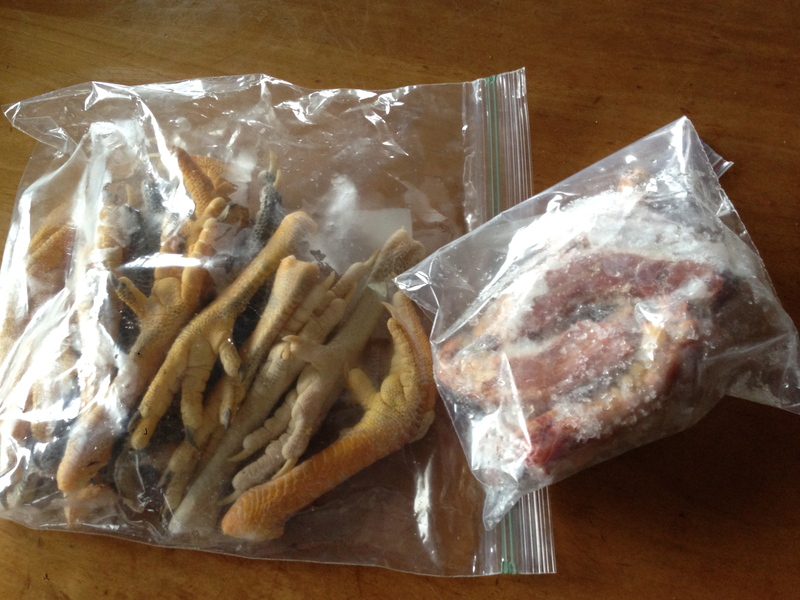 Liver for Latte – or perhaps the most creative barter ever! Okay so sometimes I think to myself, “nobody has ever had this happen to them”, but the reality is that somewhere in the world whatever it is has probably happened to someone, right? This time I may actually be the only one in the world that this has happened to… The other day I traded a piece of pig liver for a Latte at a local cafe. While I won’t deny that people have likely traded liver for goods at some point or another, I feel I can almost guarantee it was not for a latte! During this long, in fact ridiculously long, winter we had, many people have had concerns about their cooped up chickens showing stress. Sometimes this comes in the form of hen pecking. We are experiencing this now and since we think it is only happening in the coop we are isolating this girl at night so she isn’t picked on, and in hopes her feathers on the back of her neck will come back. We combated some of this by adding more protein to their diet in the form of pig liver. When my friend at the cafe explained a similar situation, I brought him some pig liver and he traded me a latte. It was a great deal and he said his chickens are doing much better! Definitely my most unique barter ever. Today I am making chicken soup out of 3 frozen carcasses from our birds, also all the necks from our birds and all the feet. It’s about using everything, and using the feet is in my blood. I grew up in a chicken feet house, my great grandmother, my grandmother and my mother all made broth with chicken feet, so when I butchered the chickens, I carefully wrapped and froze them for the day I would do this. Gotta say, hubby gasped a bit when he saw them in the bag on the counter, a bag of 12 feet just looking at him. Hubby did NOT grow up in a chicken feet house. Weather-wise it is struggling to be Spring, well what I mean is, it looks like Spring but it doesn’t feel much like it yet. We have had a couple of amazing days, sprinkled in with days like today where it is 48 windy and cloudy, and just enough to push us over the edge to build yet another fire. Each one I think, yep that is the last one till next year, but there is always the need for one more. Oh well, I’d rather one more fire, than one more snowstorm which is often the case here in Spring. I’ve gotten word from the neighbor that my plants are doing well, some are even ready to plant but it just isn’t warm enough yet. My daughter and I did plant some lettuces and radishes in a cold frame yesterday. i should be able to remove the frame around it over the course of the next couple weeks. So, with garden plants ordered, and seeds in hand, the garden plan is underway. 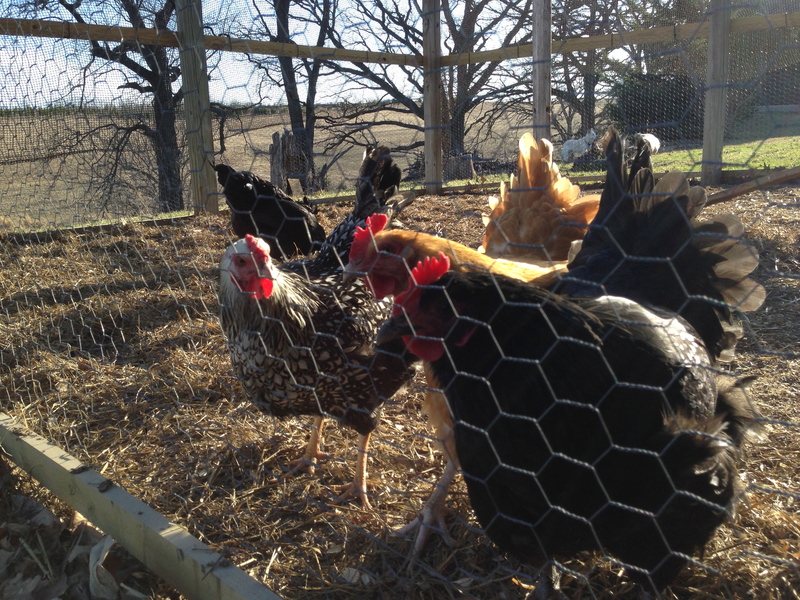 As for chickens, I should get the word on Wednesday when they will arrive, but it will be this week. The arrival of the pigs has been a worrisome situation since we had no back up plan and the people who are raising up our feeders had problems with losses this year. Turns out although we wanted 4 this year, we are going to be very happy with the three we have! 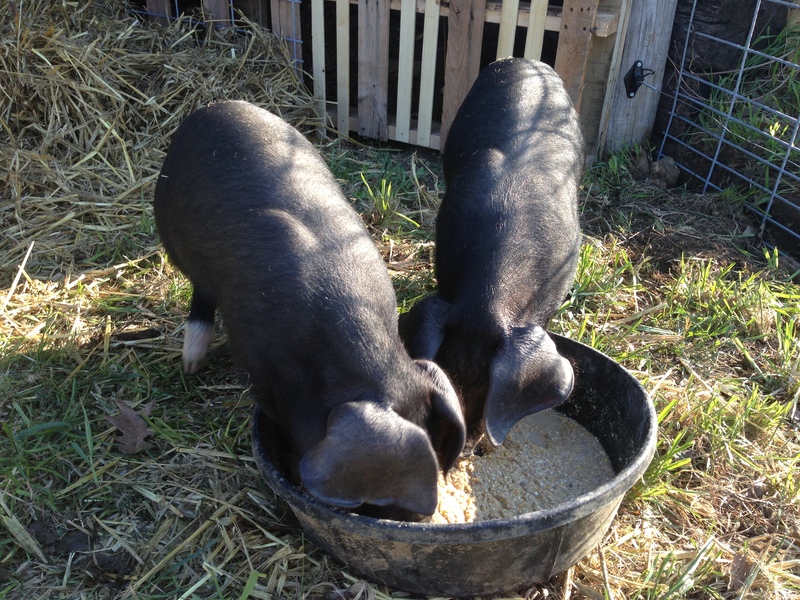 By next year we hope to have more connections to heritage breed feeder pigs so that things are a bit more secure. In other news we have a date for our first steer, and that will be the week after the 4th of July. We will be making some changes to the chute to be fully prepared to load him, because…”failure is not an option” this time. Last week we ordered shiitake spawn and will soon be inoculating the logs. So with chickens here any day and pigs any week, the garden almost ready to be planted and wild greens and roots available starting over the next week, things are definitely gearing up! 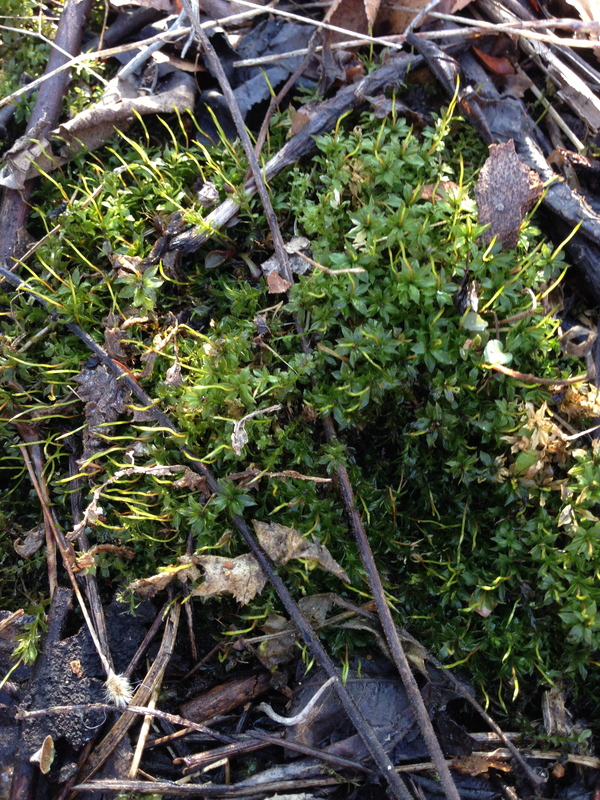 This year…I will try for more wild foods. The wild parsnip that grows here is apparently genetically the same as the parsnip and we have way more of it than my husband would like, he would like zero wild parsnip plants. But if they are going to be here, why not eat them, right? 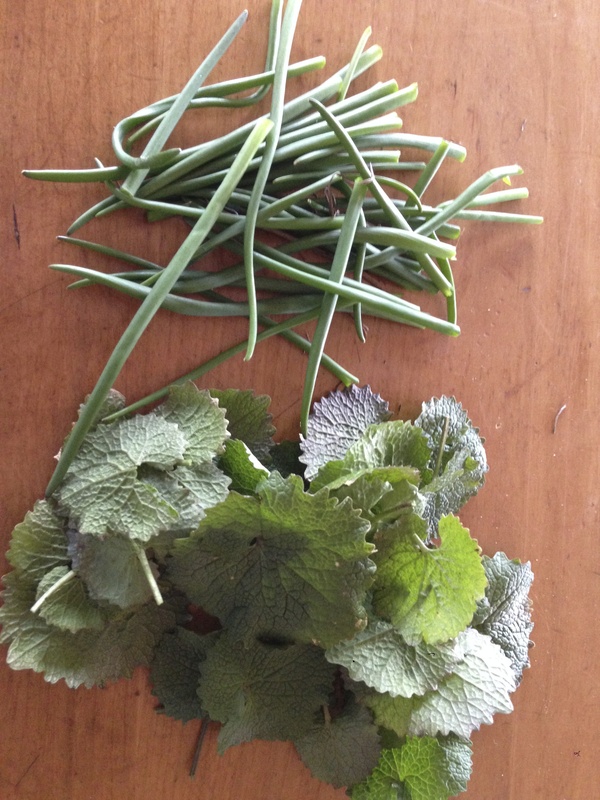 Hubby found a wild onion patch, I’ve already been adding garlic mustard and dandelion greens to our meals, and I am fully armed with foraging aps so that I can see exact pictures when I am out looking. Yea it’s a bit of a hybrid way to forage but also a pretty safe way to forage! It can be hard to know your food. Some discussion came up on the Local Bite Challenge that I am involved with, about how very hard it actually is to raise and care for livestock and then slaughter it for meat. It’s even harder when just starting out at this, I know because we are new at this. The conversation made me revisit all the feelings last Fall when we harvested our first chickens and pigs in order to eat more locally and know our food better. These are my own personal feelings, and of course everyone has their own feelings on this. Last year was our first year raising feeder pigs. They were adorable, and were so funny to watch. We gave them a nice life in the pasture and woods edge with lots of room to roam, organic feed, garden scraps, wild apples, pumpkins and squashes, and an awesome wallow. Everything a pig could want and more. All that said, we tried super hard to keep in mind all the time what we were doing. I knew it would be really hard when the day came, and so I can’t say how often I reminded myself, as they were growing, what they were for, and that they were very cute livestock, not pets. I was warned against naming them but I wanted to know them as two separate pigs not, “the pigs”, so they were Ada and Bessie. I figured I would name them by the alphabet like tropical storms, lol, then I will always easily know how many we’ve raised! When the day came we had a monstrous mess up with our hog loading area, ugh – hard lesson learned, for these green farmers – and ended up having the butchering facility come out and harvest them on the farm and then take them right to the facility. The month just prior to this we had butchered our first chickens, and between that and the hogs I felt like I was finally taking responsibility for my food in the way I have wanted to for a long time. Gone are my conflicted feelings over purchasing meat. Personally, for me, yes, it was very hard to see, but I never want it to get “easy”, I don’t think it should be easy to take a life for food. What I also felt inside though was that it was the most honest way I ever put meat on to our plates. Some greens with our white this time. The Local Challenge that I am involved in is keeping me thinking. We already eat very locally but the great people in this challenge are full of so many great ideas that are making me think! I am looking forward to learning all kinds of new ideas from them! So far I have stuck with my exceptions but I’ve found a few more I didn’t remember to add to the list like peanut butter, chocolate chips, tea, vinegars, baking soda, and baking powder. This is in addition to my original list of: toilet paper, garbage bags, coffee, beer, rum and coke, sugar, mayonnaise, yeast, milk, cheese, and yogurt. Some of these I’ve gotten great encouragement from tje group to try making and I will! 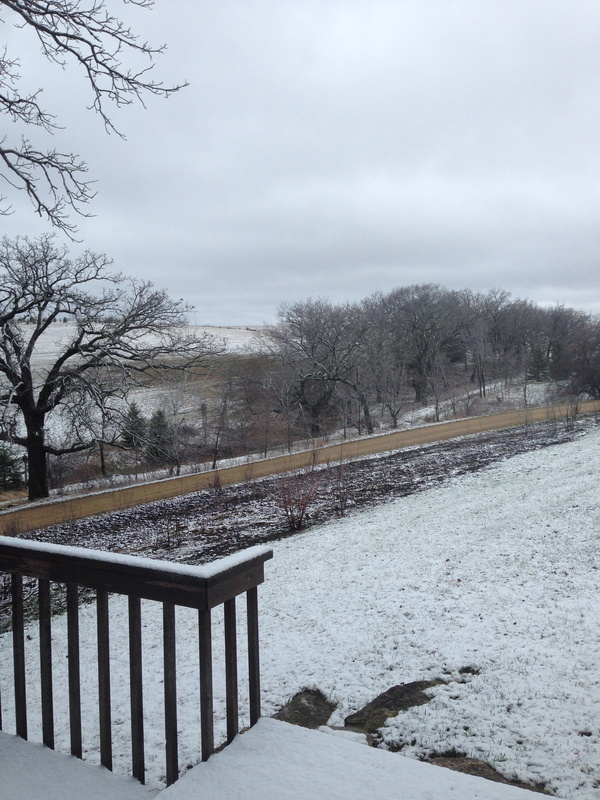 Unfortunately Spring played a mean trick this morning on us, but that is Midwest Spring. It’s green and then it’s white, yet again. 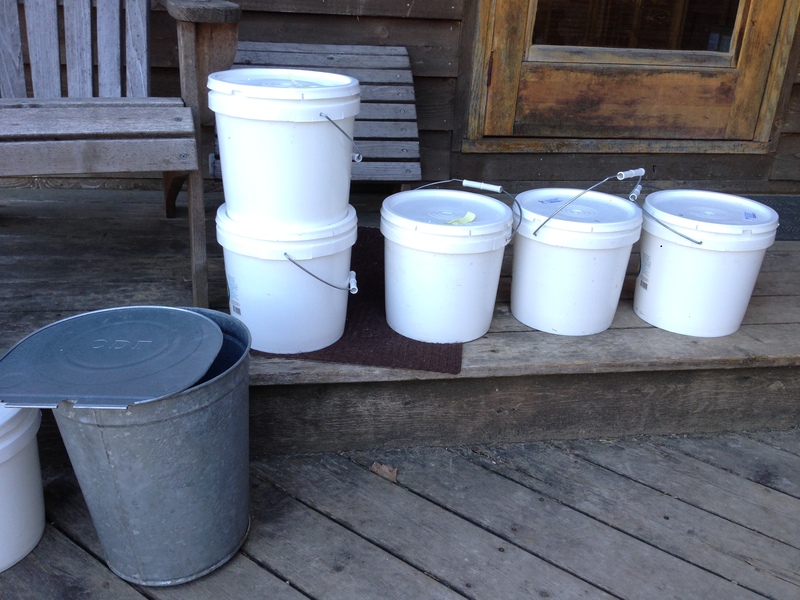 In other things on the farm… it’s been a busy sapping season! Wow, so much Box Elder sap, and then it got too warm and I thought the season had come to an end, but now it is cold again for a few days so more is coming. 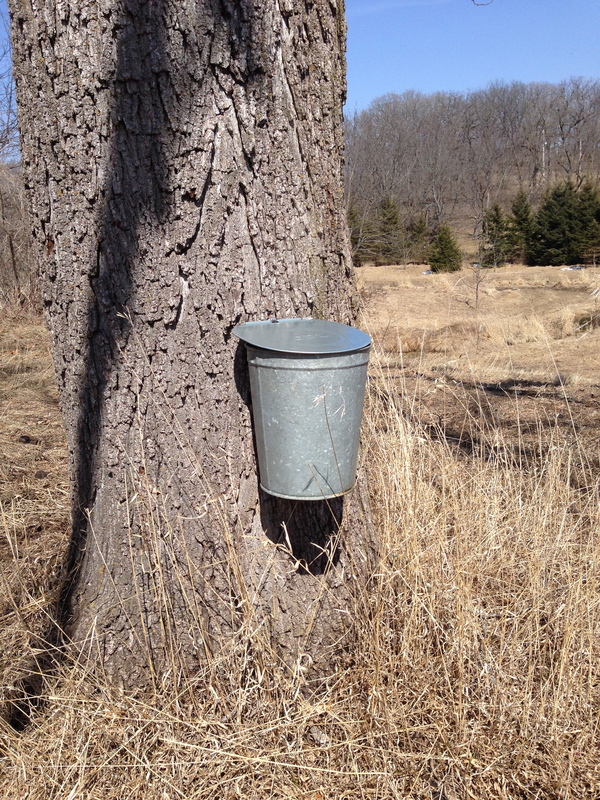 Crazy good year for syrup. All this became a little over 2 and 1/2 quarts of syrup. 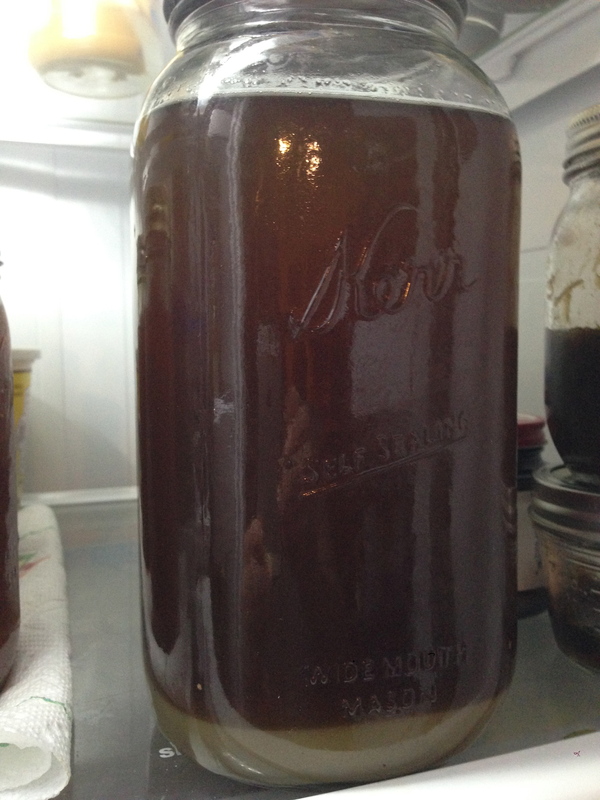 Here is one jar, notice the sugar settles at the bottom. I do not know if that is supposed to happen or not but I just decant it slowly into smaller jars and then I will dry the sugar in the dehydrator for use in baking. The Cattle will be so happy to get out on pasture, so far there just isn’t grass yet, it almost looks as though they’ve decided that they will just lay down and wait for it! These amazing animals are so pretty, I love to take pictures of them! Of course I don’t want the ladies to get bent out of shape so they came over for a photo op as well. I have been doing research on our pond. Checking in with experienced people about whether or not Bentonite would be good to help us seal what seems to be a leak in the pond. It is everything we hoped would not happen when we re-dug it last year. It seems that the leak may be between the 5-9 feet mark so we are getting advice on best things to do. 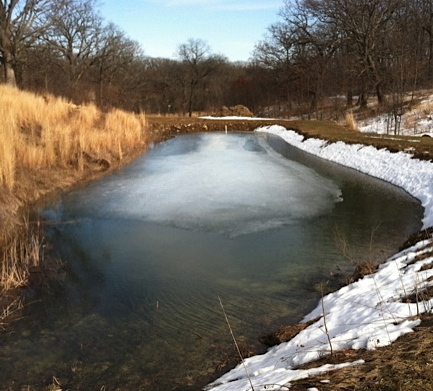 It does look nice to see water on the pond, but I wish we hadn’t lost 2 feet already since the big thaw. Hopefully we can seal the leaks and it will be ready to stock this year yet! 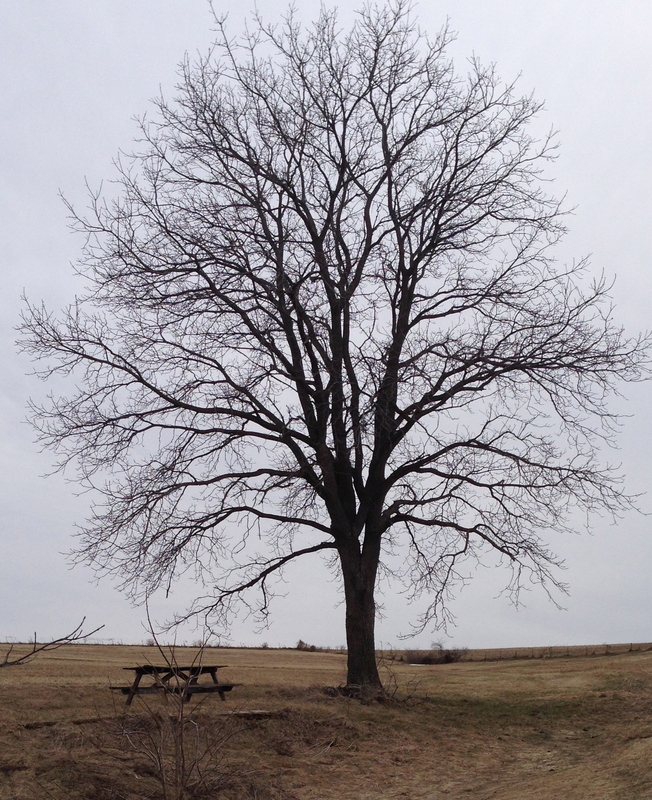 Finally while on a quiet walk on the farm I took this picture. It seems like a good way to end a post. Here’s hoping tomorrow will be a green day not a white day! I have joined a challenge. The Local Bite Challenge with a group of people on Facebook. If any of you “Local Bite Challengers” are reading this, hello to you! I love that in this challenge everyone’s definition of “local” can be their own as well as their own parameters on how to implement, how long to participate, how or if you budget and the biggie…what will you allow for exceptions? Although everyone is setting out on their own way of doing this, the bottom line is that we will all learn from each other and we will all be helping each other toward a common and important goal and how cool is that? I thought I would make today’s post a very brief look back at how we personally got to the place we are at now. 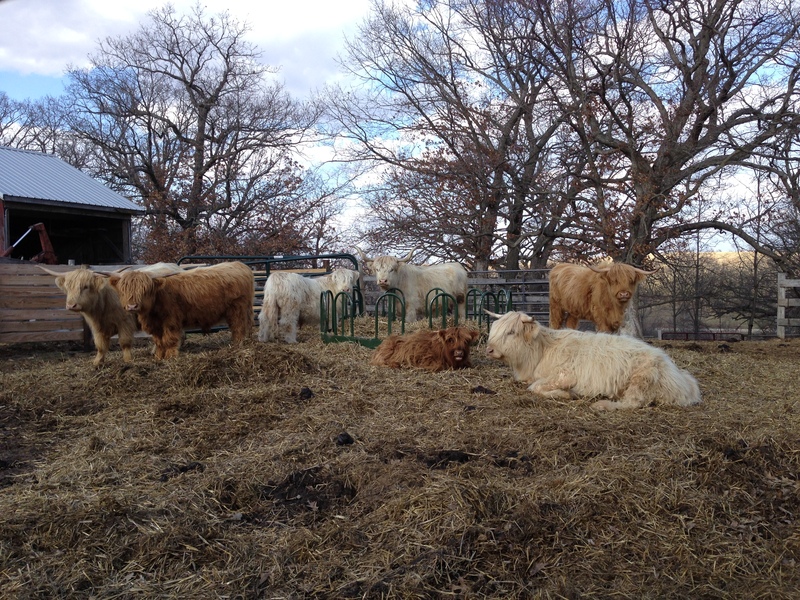 When we began in December of 2012 it was to raise a few Highland Cattle for beef. About then I started working for myself and realized I would have the flexibility to put time into living more sustainably and knowing our food. We took the plunge and raised two heritage breed feeder pigs, organically, (but not certified), and put 6 chickens in the freezer, had a new calf arrive, and purchased another cow with calf, and a bull. We will have our first steer slaughtered this summer, have fresh eggs daily, and a freezer full of pastured pork. Until we have the beef our variety has not been huge but we do just fine eating what we have and cook creatively to avoid boredom. I froze huge amounts of fruits and vegetables, and re-learned how to can. Between all of that and all the food I dried last year I did not have to buy any produce at the grocery store this year, and yes, we do eat fruit:) It was limited to strawberries, raspberries, cherries, rhubarb, and peaches which didn’t feel limited to me at all. So this is all to say for us local is really local, as we raised almost everything we ate this Winter and so far this Spring. I learned to make pasta (which I need to improve at) and all of our breads, buns, corn chips, crackers, and pretzels, although, the last few don’t get baked as often as I’d like. However, even this was a new way of thinking to appreciate those treats when we have them rather than expecting them to be around all the time. Eating seasonally starting making so much sense. I had come to expect to eat the same fruits and vegetables year round, often without it mattering how many miles they had traveled or that they were loaded in the truck before they had opportunity to even ripen. I have instead found a rhythm to the seasons. We enjoyed the arrival of lettuces, radishes, beans, and broccoli in the summer, and then the appearance of beautiful red strawberries followed later by fresh tomatoes in mid July and throughout the hot days of September. As it got really cold there were cabbages and squashes and pumpkins. So yes, we didn’t eat lettuce this winter or one fresh tomato, instead we ate the meats we raised, and the fruits and vegetables we put up that were raised by us and our neighbor (we do trades). It’s been an amazing almost year and a half. We are now approaching Spring, this time still newbies, but not as new as last year. Soon the brooder will be set up, the chicks will arrive, the feeder pigs will be picked up in May, and I have my seeds picked out and my starter plants started. The rhythm of the seasons continues and I am ready for all the fresh garden goodness. As I begin to preserve food this year I will do some things differently. I now know just how much bbq sauce, ketchup and tomato sauce we need. I also know that no one needs as many pickles as I made last year. I learned that some things I canned, I should have frozen, and some things I should have planted more of etc. It will be exciting to go into this years food growing season having a better idea of what we need and like. I do have exceptions and I will rethink some of these due to this challenge. What are my exceptions? toilet paper, garbage bags, coffee, beer, rum and coke, flour (although ours is locally grown and milled), corn flour, sugar, mayonnaise, yeast, milk, cheese, and yogurt. We don’t have a dairy cow, or should I say I am not wrestling a highland with horns into a head gate daily. Of course there are random items that do get purchased when needed like laundry detergent, dish soap, shampoo etc. So glad I found the challenge, I’m looking forward to new ideas and new learning! …and some white. 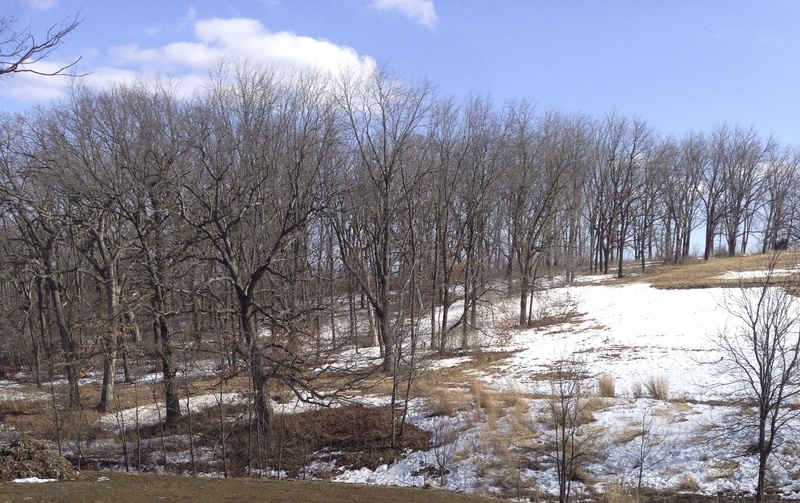 We have one foot in each season right now, but you can smell Spring in the air and it’s amazing. This Spring in particular is even more welcome than others, this winter started early and the snow that fell never melted, it just kept adding up. It’s felt Wintry for 6 months now, and people at this point are very grateful to see 40’s and sunshine, it’s really boosting morale and the weary winter weather attitudes that have been part of the last couple months, pretty much since that unknowing Ground Hog came out of his hole in February. 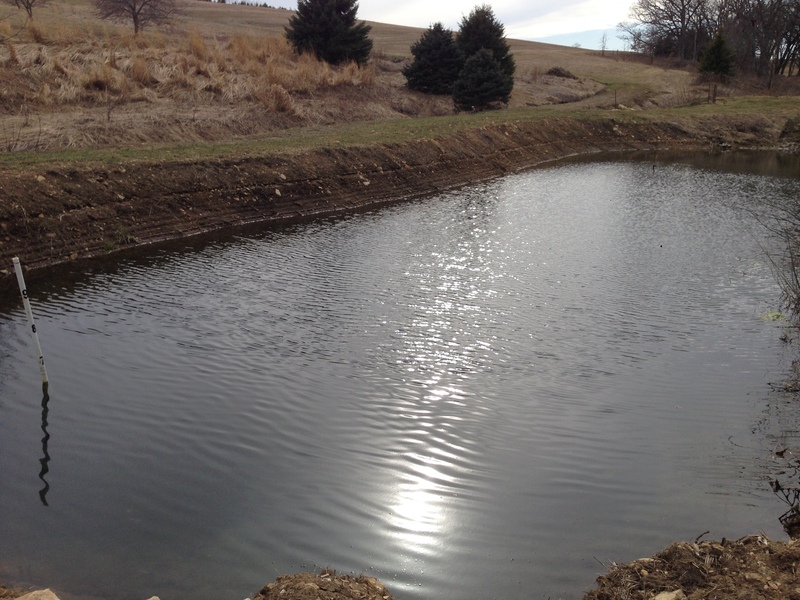 The pond we re-dug last year has been filling beautifully, or it did so during the big thaw when everything was melting and running. Now it’s lost about 4 inches. So, I find myself reading about Bentonite. This would get spread on the top of the water, and then wherever the water is draining the Bentonite should get sucked down into, and swell and seal the pond. I believe it to be ghastly expensive though, very sadly, and so I’m a little afraid to confirm it because I don’t know what else we can do, so for now I will keep reading more information on it before we decide what to do. 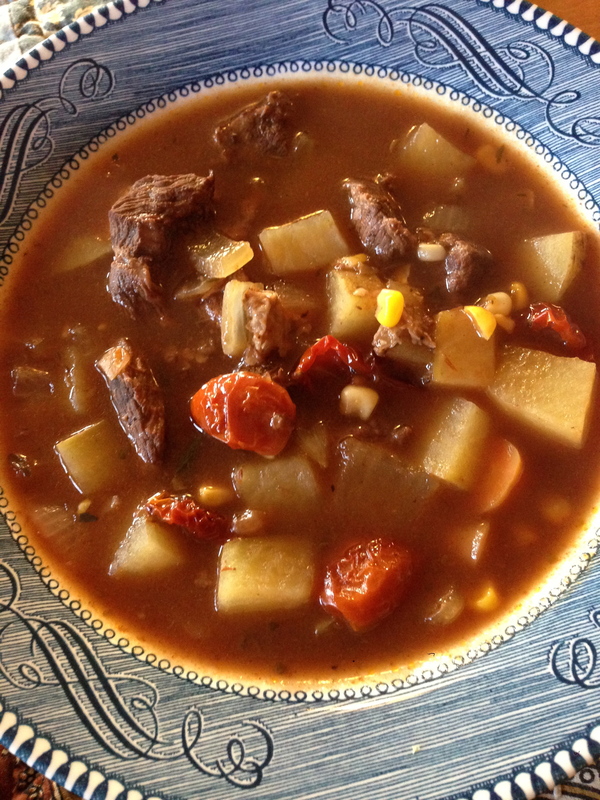 Since it is still cold enough to need warm comfort food, I made some beef stew with beef from a local farm, carrots and potatoes from the neighbors storage, dried juliet tomatoes, the last of our garlic, local corn I froze last year, dried morel mushrooms, our tomato sauce, herbs and veggie broth made from a winters worth of vegetable parings that I kept adding to as I cooked. It was a good warm ourselves up meal, with some just made cheese crackers. 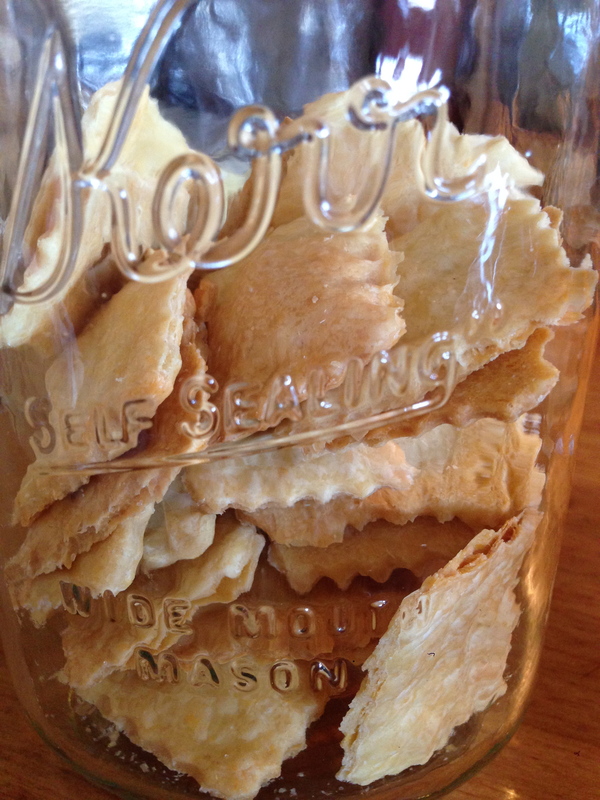 Turns out my new ravioli cutter I got for my birthday is an awesome cracker cutter too. It’s nice to see things not covered in white. 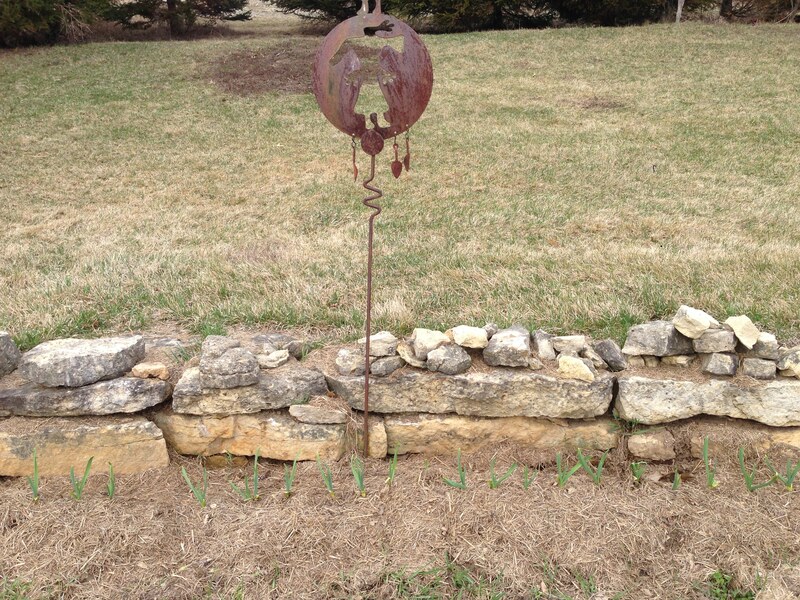 There are little signs… the hydrant by the barn works again, the chickens prefer to be out than in, hubby started burning the prairies, and finally this very happy site of true Spring!